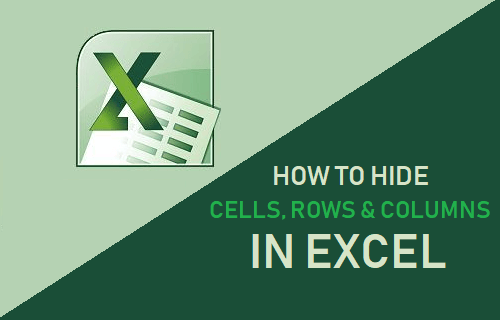 In this tutorial, you will be learning the steps to Hide Cells, Columns and Rows in Excel, so that you can prevent confidential information from being viewed by others. While you can hide and unhide entire Rows and Columns in Excel, individual Cells or group of Cells can only be blanked out. To hide Cells, select the Cell or Group of Cells that you want to hide, right-click and click on Format Cells… option in the drop-down menu. 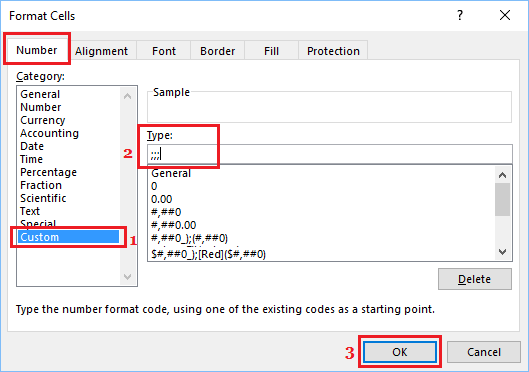 On Format Cells screen, click on the Number tab, select Custom Category and enter three semicolons (;;;) into the Type box. 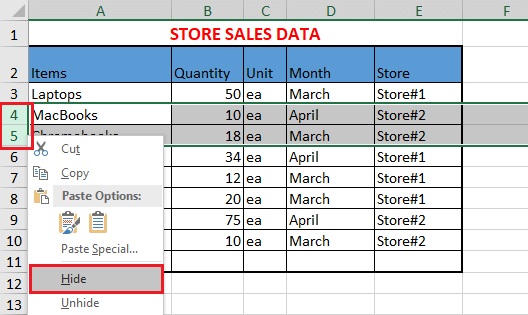 Click on OK and you will see that the data in the selected cells is no longer visible and the cells appear blank, as if there is no data in them. 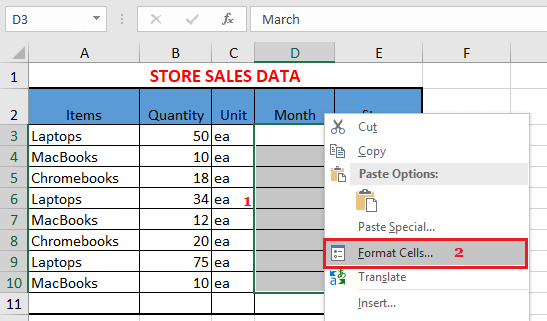 Select any hidden cell and you will see that the Data in the hidden cell can be seen in the formula bar. If you type anything into hidden cells, the original value will be replaced and the new content will automatically become hidden when you press the Enter key. 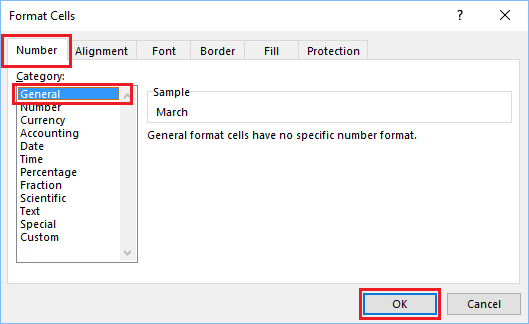 To unhide the Cells, select the hidden Cell or Group of hidden Cells and click on Format Cells option in the drop-down menu. On Format Cells screen, click on the Number tab, select the General Category and click on OK.
You will see that the Data in hidden cells is now visible. In case you are dealing with a large worksheet, it can be helpful to hide other Rows or Columns that you are not currently dealing with. 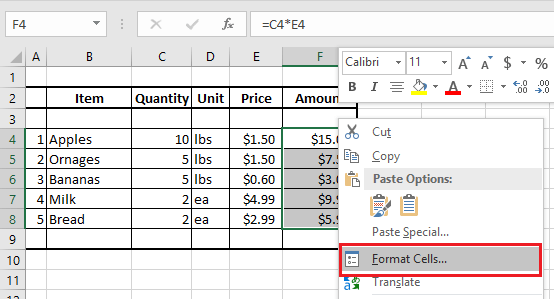 To Hide Rows in Excel, select the Rows that you want to hide. Next, right-click on the selected Row Numbers and click on the Hide option in the contextual menu. To Hide Columns in Excel, select the Columns that you want to hide. Right-click on the selected Column Number and click on Hide option in the menu that appears. As mentioned above, hiding Rows and Columns in Excel actually makes them disappear from your view. When you Hide Rows or Columns in Excel, you won’t be able to view the hidden Rows and Columns, unless you unhide them. To Unhide Rows or Columns, select the two Adjoining Rows or Columns between which the Rows or Columns are hidden. Next, right click on the Column Number (Row Number in case of Rows) and click on Unhide. Once you click on Unhide, you will immediately see the hidden Rows and Columns appearing on your screen.